Opposition Leader Kamla Persad Bissessar says she is undeterred by a fake email which was circulating social media. 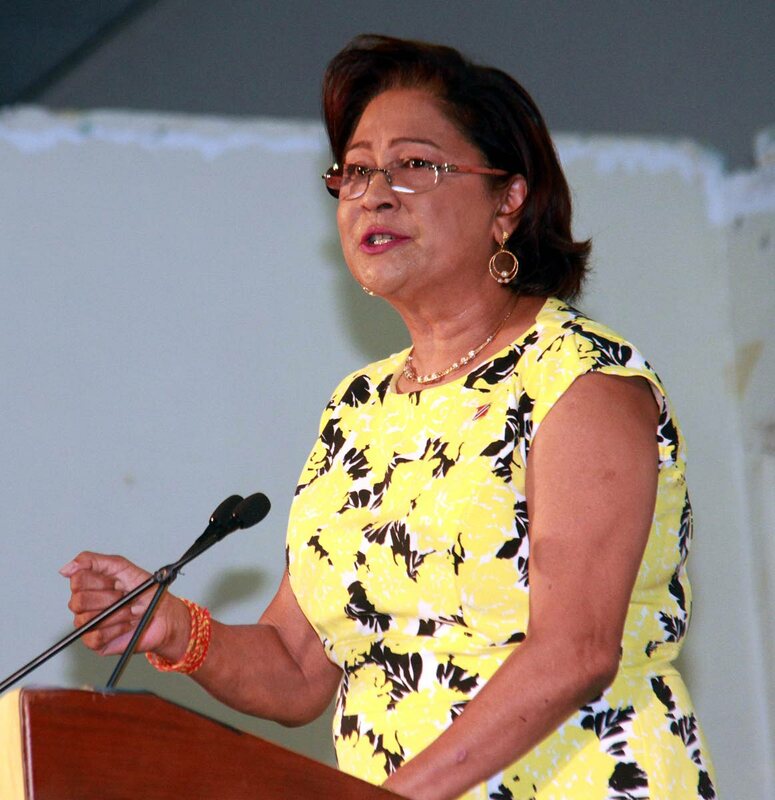 UNITED National Congress (UNC) leader Kamla Persad-Bissessar said her party will not be deterred by a bogus list of candidates to fight any snap general election if called before the due date of 2020. The list was emailed to media houses on an official-looking UNC letterhead in the name of UNC supporter Vaughn Ramdeen, who later denied sending it and was at a loss as to why anyone would set up a fake email account in his name to do so. The letter purported to be sent by Persad-Bissessar to constituency chairmen and National Executive members. Warning of a possible snap election, the bogus letter asked UNC officials to give full support to candidates as polling said the party could win a snap election. “The custom of screening candidates has been waived in the event of a snap election to ensure victory at the polls for the UNC.” Persad-Bissessar denied the letter was valid, as did other UNC officials. She told Newsday, “That’s obviously not official UNC correspondence. The person called me today and said he never issued that statement but someone had used his profile and that he will now report it.” Persad-Bissessar said the UNC has chosen no candidates yet. “In my New Year’s message I said we’ll open up nominations and screening will take place. Persad-Bissessar said anyone acting fraudulently was up to no good. “This will not deter us. We’ll make the change for the re-building of our party to ensure victory will come.” UNC deputy leader David Lee told Newsday, “I think it’s just mischievousness at work, trying to drive disunity within the ranks of Opposition sitting MPs. “It’s pure mischief and I expect much more to come. It’s open season.” He said it was a way to try to divert the narrative from crime, joblessness and the economic doldrums. Lee had never heard of Ramdeen before. Barataria/San Juan MP Dr Fuad Khan told Newsday, “Some jackass decided to make some trouble and you can quote me on that. Don’t try to make sense out of nonsense.” Given that the list named Senator Saddam Hosein for Khan’s seat, Newsday tested the list by asking if Khan had ever said (or heard) that he’d not stand for re-election. Newsday asked him if he knew how it all came about. Ramdeen replied, “I honestly don’t know. I’m confused about it. “It’s somebody on Facebook. I don’t know the intention. I’m just confused about the whole thing. “Yesterday was my birthday and I was home celebrating with my family, when this happened.” Asked his link with the UNC, he said, “I’m just like a normal member but don’t hold any position or anything like that.” He said he was a supporter of Persad-Bissessar. Reply to "Fake UNC dream team"